Born in Lyneham (Wiltshire), the United Kingdom, Jessica Mendoza began riding at the tender age of three. Since then she has become one of the brightest young talents in show jumping. At only 19 years of age, Jessica has represented Great Britain at senior international level at The European Showjumping Championships (2015) and in Nations Cups; and is already winning at Grand Prix level. Her next goal is to ride in the 2016 Olympics. 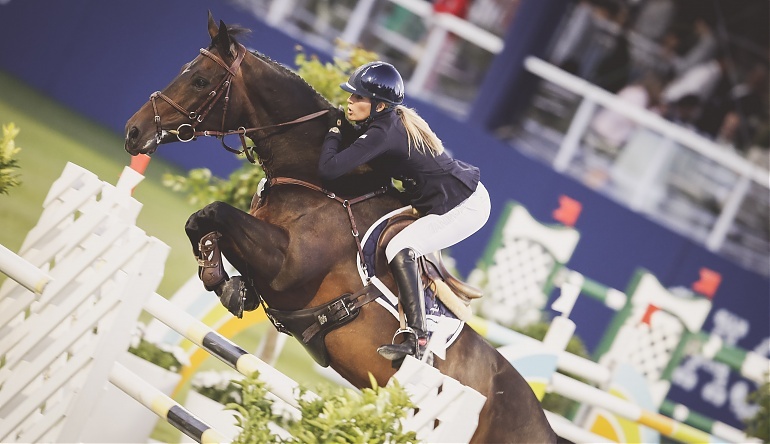 Following in the footsteps of other top riders, Jessica’s career started on the international pony circuit where she won numerous titles and was a highly successful Junior Showjumping rider, setting records and winning unequalled titles as a younger rider. Representing Britain in the Pony Nations Cup Team and at three European Pony Championships. November 2015 - Longines Rising Star Award at the 2015 FEI Awards.